So, You Wanna Start Designing Knitwear? Many people pick up knitting for the first time with no intention of ever designing anything themselves. But when a knitter has mastered an ample number of techniques and needs a new challenge, designing knitwear is a natural next step. 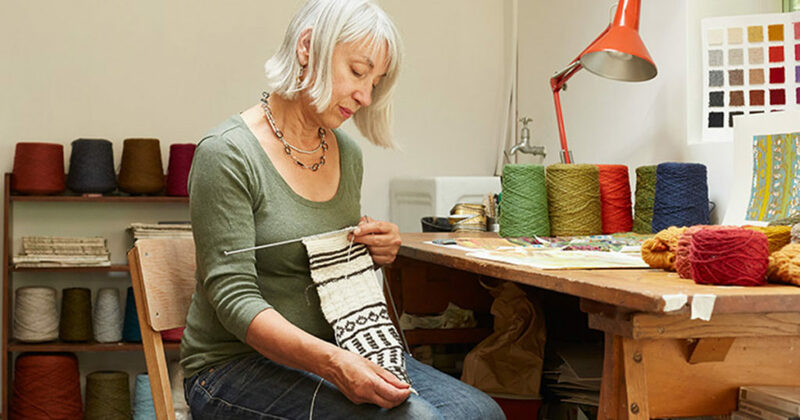 Whether you want to start designing knitwear in order to sell goods, to write patterns for independent or professional publishing, or just to knit the perfect sweater you have in your head, it’s important to learn how to design properly. It’s a lot of work, and it’s not for someone who simply loves to knit. Below are some jumping off points to work on educating yourself in knitwear design. 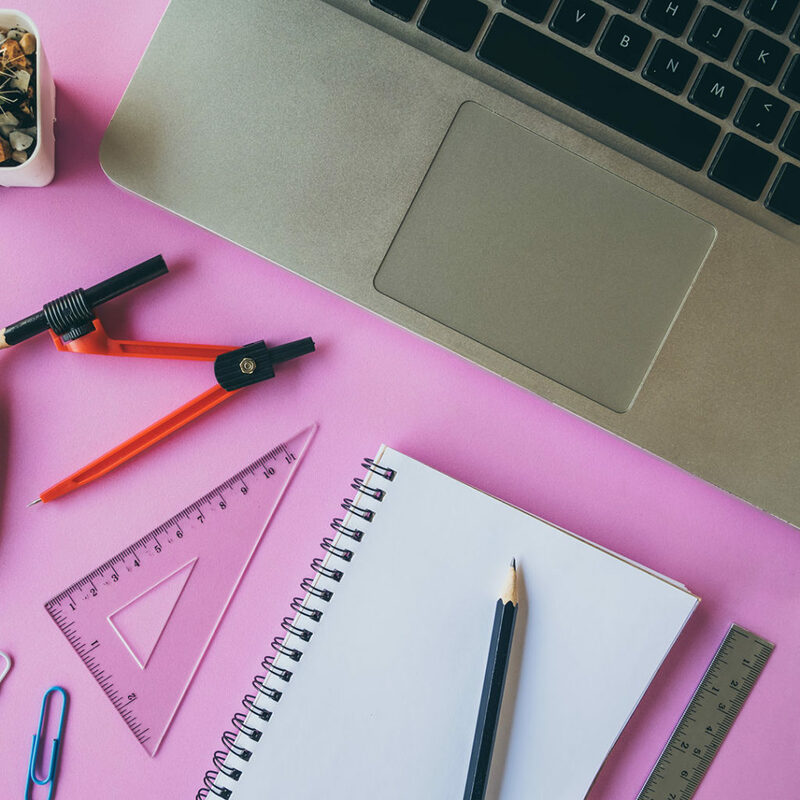 Courses are another educational avenue for learning design, depending on your learning style. These days there are online courses for how to do practically anything, designing knitwear included. 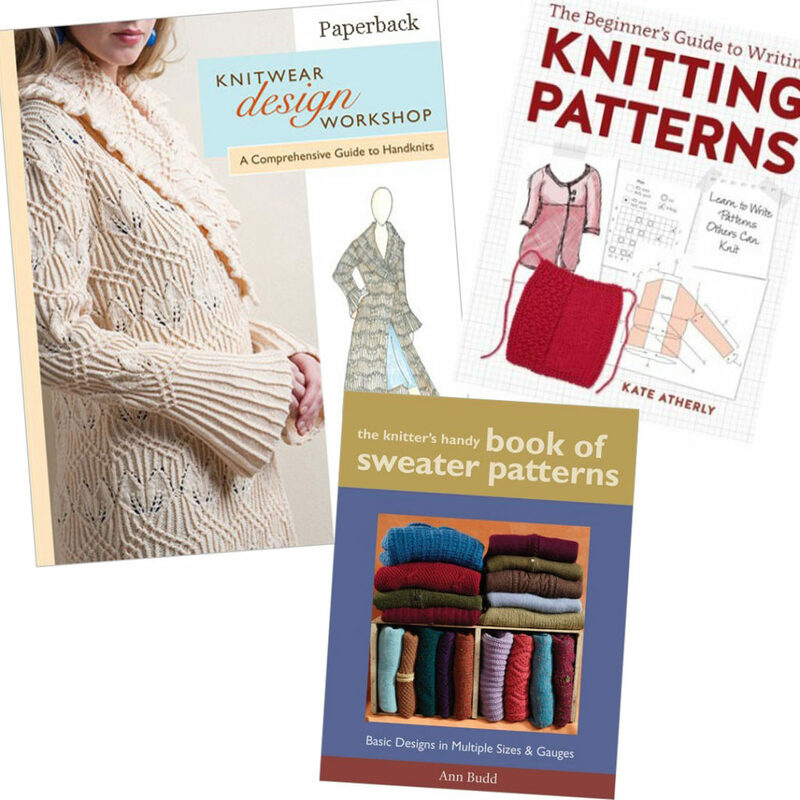 Interweave offers a companion course to Kate Atherley’s book (mentioned above) that explains the ins and outs of pattern writing. You don’t necessarily have to use the course alongside the book; it’s all about your learning style and how you absorb information best. Chances are you have all sorts of ideas in your head about what you want to design. If you don’t already have a physical place to draw and write out your ideas, get a journal or sketchbook ASAP. Even if you can’t execute all your ideas right away, you’ll have something tangible to go back to when you want to revisit and develop an idea further. For the times when you are feeling “stuck” and uninspired (trust me, it happens to everyone), your journal is a great place to go to draw and play to help stir up some new creative ideas. It’s not a bad idea to take some time to find a journal or sketchbook you really like to use, so you’ll be inspired to open it up on a regular basis. I keep a big spiral hardcover sketchbook, which makes using the entire pages comfortable and easy (rather than a bound sketchbook that you have to flatten as you use it). Regular graph paper—where the lines create even squares—is great for drawing schematics or when you need the points to represent a certain measurement interval. However, for drafting up knitting chart designs, knitting graph paper is a more accurate representation of the ratio of knit stitches (the height of one row is usually shorter than the width of one stitch). When planning exactly what you want to do with the stitches themselves, using the knitting graph paper is much more reliable for getting the result you want. If you have some favorite knitwear designers, you are probably already doing this. Keeping an eye on what stars in the industry are creating can help you stay current with trends, new yarns, and interesting techniques and ideas. And don’t stop knitting other designers’ patterns; it will keep you sharp and not lost in your own vacuum of work. Submitting a design idea to a publisher is kind of like applying for a job: You want to make sure you include every element they ask for, and that it looks as best as it possibly can. Thoroughly read the publisher’s guidelines and pay close attention to what they are asking for. Make sure you include all the elements, communicate your idea clearly in the best way you know how, and really make sure your swatch is knit well and represents all the different elements you plan to use in your design (while not making it a super large swatch—sometimes a difficult task!). Everyone has a different starting point, and you have to start where you’re at. If you are truly invested in designing knitwear and writing great patterns, you also have to invest your time, resources, and probably money. It’s a lot of work to get started and some folks don’t establish themselves as professional designers for a very long time, after a lot of hard work and no recognition. But if it’s worth it for you, get going. Just start now. Subscribe to our knitting magazines and never miss an issue!